Do you ever get the feeling your car is smarter than you are? New cars can detect an impending crash, brake automatically, beep when you’re swerving out of your lane and shine their headlights around curves. Automakers are adding more and more high-tech car safety features designed to help drivers avoid accidents. They might even help you save money on car insurance. But do you really need them? Here are four popular high-tech car safety features explained. You can stop craning your neck when backing out of a parking space. By 2018 every new car sold in the U.S. will have a standard backup camera system. These systems show the driver what’s behind the vehicle, out of sight of the rear-view and side mirrors. The concept’s nothing new — the first backup camera appeared on the 1956 Buick Centurion concept car — but recently these cameras have become standard equipment. Do you need a backup camera? The short answer is yes. The National Highway Transportation Safety Administration says about 210 people die each year and another 15,000 are injured after being hit by a car backing up. More than 30 percent of the fatalities and injuries involve small children, who are just too hard to see when they run out behind a reversing vehicle. Using a backup camera is a proven way to avoid hitting people or objects behind you, although you still need to double-check your mirrors. You can even install a backup camera on your older car — Popular Mechanics shows you how. You’re driving on a two-lane road and your cell phone dings. You can’t resist the urge to check it , and as you scan the screen, your car drifts into the other lane. A warning light flashes and you feel the car gently veer back into the travel lane. Whoa. What just happened? In a lane departure warning system, a small camera monitors the lane markings on the highway and alerts the driver with a sound or light when it detects the vehicle veering out of its lane without signaling. The next level is a lane-keep assist system, which actually nudges the car back into its lane. Do you need a lane departure warning system? It could save your life. The NHTSA says about 70 percent of all single-vehicle highway fatalities in the United States happen when the car runs off the road. And, in 95 percent of these crashes, driver behavior was the cause. However, a 2012 study of car insurance claims by the Highway Loss Data Institute found that lane departure warnings appeared not to be helping drivers avoid crashes. It’s definitely no substitute for attentive driving (so stop texting already!). And these systems may not work in some conditions, such as bright, low sunlight or heavy rain. Also known as forward collision warning, this high-tech safety system scans the road ahead of your vehicle and alerts you if a crash appears to be imminent. Some collision avoidance systems even brake automatically, or even tighten the seatbelts and tilt the driver’s seat to reduce the chance of injury. Do you need a collision avoidance system? 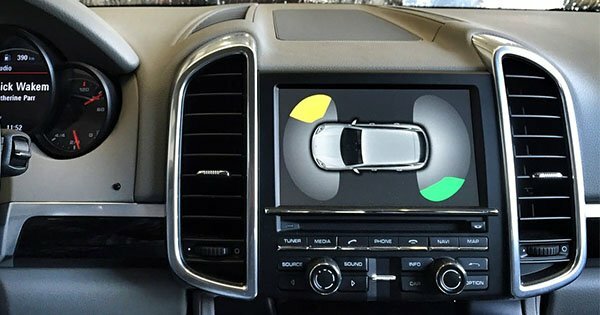 Collision avoidance systems can add a lot to the sticker price. They’re typically available as add-on options, or are included in the highest-priced trim of a particular model. However, these systems really do work to prevent low-speed collisions. In 2016, the Insurance Institute for Highway Safety (the guys who crash thousands of vehicles to test car safety features) decided that in order for a car or SUV to be given its highest rating — Top Safety Pick+ — it must have a front crash prevention system with automatic braking capabilities. That means the vehicle has to stop or slow down without driver intervention before hitting a target at 12 mph, 25 mph or both. Expect more cars to come standard with collision avoidance in the years to come. Until then, it’s probably worth paying extra for one of these systems if you can afford it. You’re driving down a winding country road when you see four eyes shining in your headlights. You slam on the brakes, and a doe and a fawn scamper away. Close call — and the only reason you saw the deer in time is because your headlights swerved before you did. Adaptive headlights measure your speed, steering angle and rotation (yaw), then adjust accordingly to illuminate your path around a curve in the road. 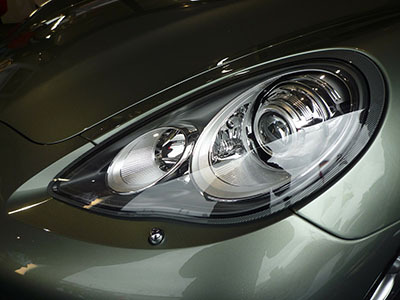 Do you need adaptive headlights? Adaptive headlights do help prevent crashes. “Front crash prevention and adaptive headlights are reducing insurance claims,” IIHS research has found. While they may not come in handy as often as collision avoidance or backup camera systems, they’re still a smart buy. Car technology is getting more advanced – it’s never been easier to get lost in your car console. We’re here to help. From bluetooth to wi-fi tethering, to carsharing schemes and even driverless cars – our Car Tech Guide will help you stay abreast of the latest developments happening in car technology.